Imagine what it is like to swim with dolphins, not in an enclosed area but out in the open ocean. 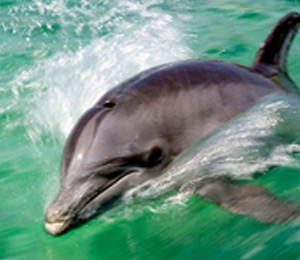 Our unique Open Ocean Dolphin Experience programs in Freeport do just this. 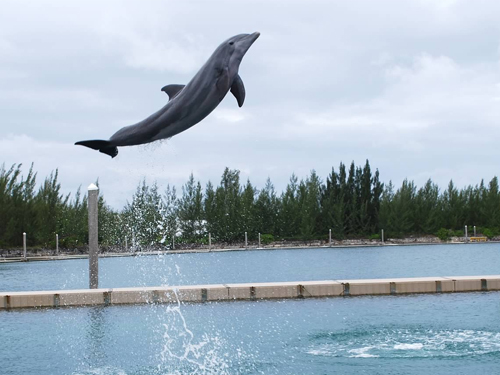 They allow you to jump in the warm open waters of the Bahamas to swim alongside our intelligent and specially-trained bottlenose dolphins. These large, smooth, silver sea mammals will be swimming right alongside you and allowing you to hold on to their fins as they soar through the waters. Many of our visitors agree that this is probably one of the best ways to interact with dolphins, since you are actually out in the middle of the Atlantic, in their natural environment. With the Open Ocean Dolphin Experience, our boats will take you out to the ocean with a team of our expertly trained dolphins following along with the boat. When we reach our destination, you and your group will be able to step off the boat and out into the warm, salty waters of the Bahamas. You then become a part of the dolphins interaction and play time. The professional trainers on board will instruct you on how to best interact with these friendly creatures. 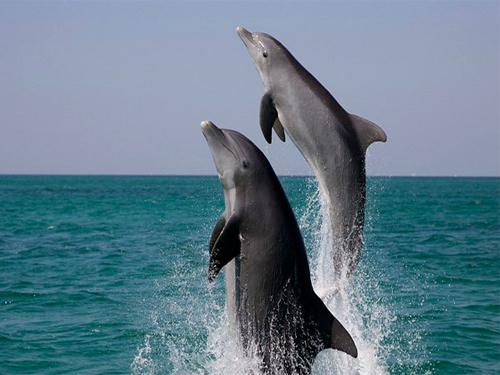 Watch how a simple hand gesture will send the dolphin flying out of the water and into the air. Watch as they do flip after flip and spin after spin. You and your whole group will be amazed and enthralled by the friendly nature of these creatures. They love to interact with humans in any environment. 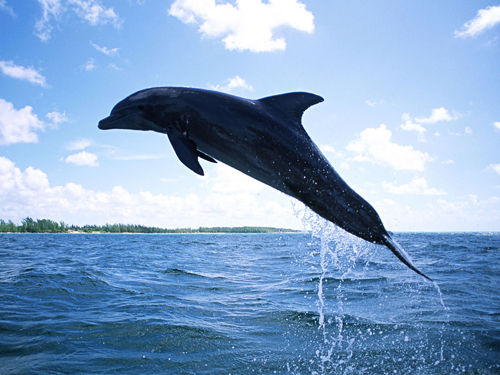 We also work with the most talented and dedicated group of dolphin trainers anywhere in the Bahamas. 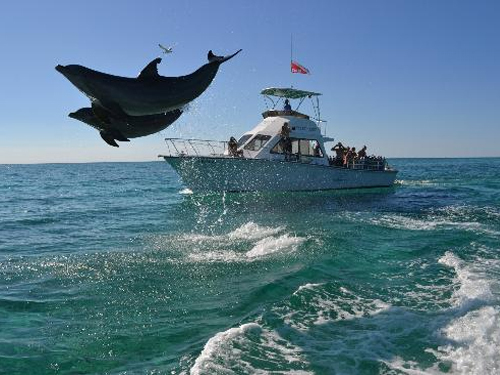 Please note, however, that this program is quickly becoming one of the most popular Freeport dolphin programs that we offer, but we can only take so many guests on each trip. We encourage you to make your reservations as far in advance as possible to not miss your chance to swim with these incredible mammals of the sea during your Bahamas stay. I have been to the Bahamas many times, but Freeport Open Ocean Dolphin Experience is one of my favorite trips! It includes everything that everyone should do here. As a Bahamas veteran, I can say only the best about this experience!